This month I will be showing slides from our 2017 and 2018 Annual shows. Depending on time, and whether attendees throw tomatoes at me or not, I may also show photos from the recent Silhouettes Show held at the Los Angeles Arboretum. It’s definitely time to be thinking about the tree or trees you may want to display at the 2019 show. So come for some inspiration and a cup of Joe’s award-winning instant coffee. Meet and greet begins at 7:00 pm at the Goleta Valley Community Center, with the meeting starting at 7:30 pm. As always, members are encouraged to bring a tree they want to get advice on and take a few moments to browse through our library and check out a book or two. After years of drought, my trees seem really happy with all the rain we’ve had this winter. I hope it continues until Cachuma spills. Our club always puts on an excellent annual show, and it’s time to be thinking about it once again. Dates and place this year are May 18-19 at Trinity Lutheran Church. If you haven’t already done so, go outside right now, rain or shine, select a tree or two to enter, and start to pinch, prune, wire, repot, or do whatever it takes to coax them into looking their best by show time. If you are really diffident about showing a tree in our formal display or if you just have something interesting that you’d like to share but not show, we will once again have an informal Trees-in-Training table. Mel Ikeda and Ann Erb will do the demos on Saturday and Sunday respectively. This never happens in a bonsai critique. Seems like everyone sees a different front for your tree, a different angle for the trunk, and a new and improved apex. Last month we collectively “vastly improved” a couple of ume, two black pines, a pomegranate, a dwarf ficus, a definitely “not dwarf” ficus, an oleander, two shimpaku and an olive, among others. Here are a few photos from the session. Special sale for Club Members Only. Patti Post’s house. 8 am to 5 pm. This is the sale of Tom Post’s trees, pots and soil, originally scheduled for Saturday, March 2, postponed because of rain. Penjing Demonstrations. 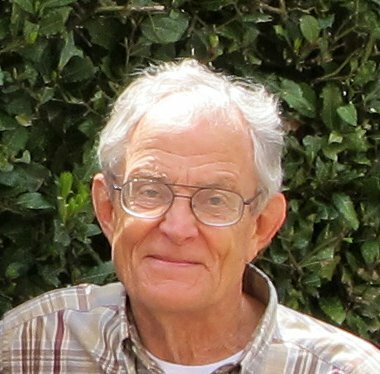 Sunday, March 10, 2019, 10 am–12 pm at The Huntington Library, Art Collections, and Botanical Gardens, Ahmanson Classroom, Brody Botanical Center. General admission, no reservations necessary. Chinese penjing masters Huang Jui Wei and Lu Xueming demonstrate the art of making large tray landscapes with miniature trees—a horticultural art similar to Japanese bonsai. The finished works will be donated to the planned penjing courtyard in the Chinese Garden. Demonstrations are ongoing and will take place from 10 am–noon. 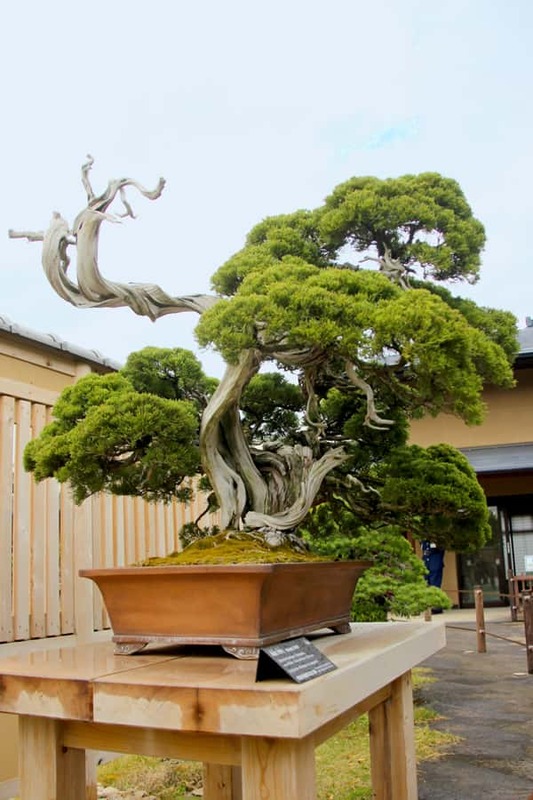 The Huntington Library, Art Collections, and Botanical Gardens will host the California Bonsai Society’s 62nd Anniversary Exhibition held in Brody Botanical Center on March 23-24, 2019. Admission to show is free with garden admission. The show will be open to the public from 10 am to 5 pm each day. 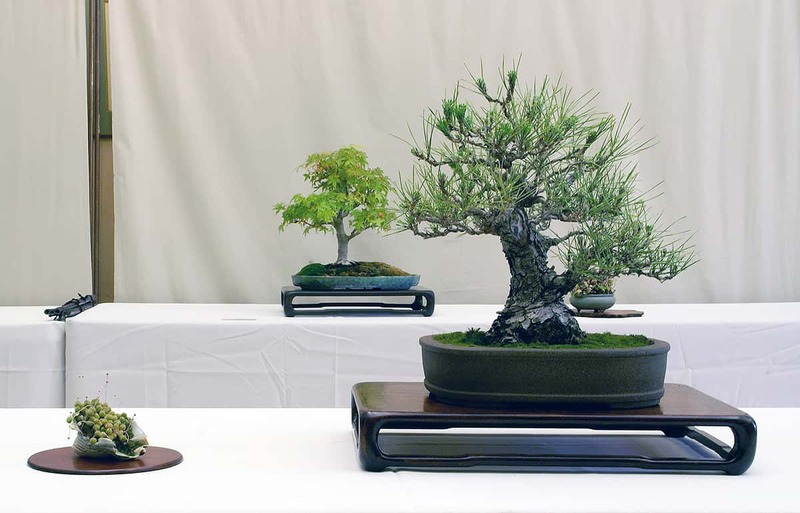 There will be more than 50 bonsai on display as well as some viewing stones. The bonsai have been styled by the society’s members, some over many decades. 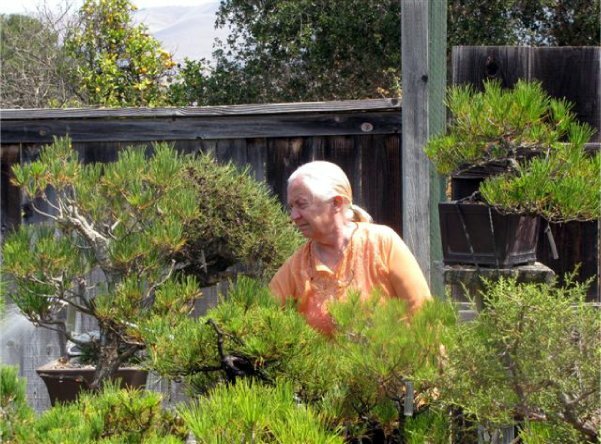 On Saturday March 23rd John Naka’s forest planting “Goshin 3” will be reassembled with former National Bonsai Collection curator and friend of John Naka’s, Jack Sustic leading the re-planting. Goshin 3 was John’s recreation of his Goshin Forest Planting – by far the most famous bonsai in the country. The original is the premier bonsai in The North American Collection in Washington DC at the National Arboretum. 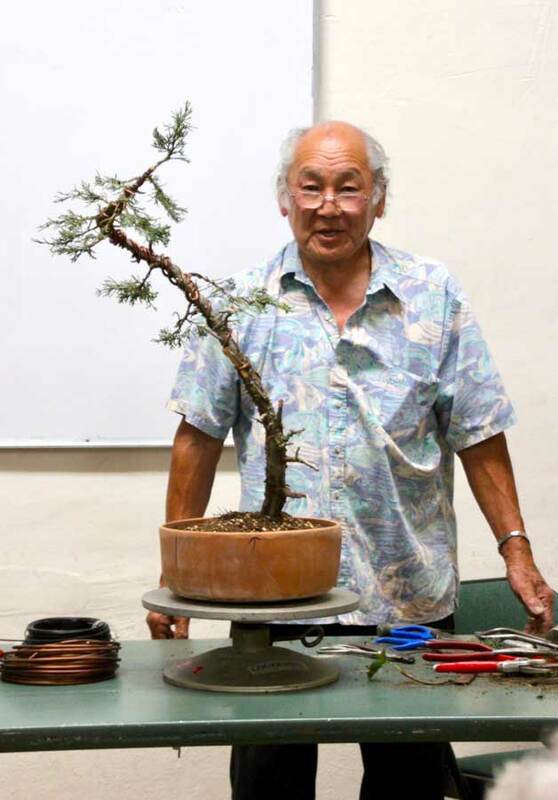 Sunday between 11 am and 1 pm a bonsai creation demonstration will be put on by past president Lindsay Shiba. Members will be available to answer questions during the open hours. 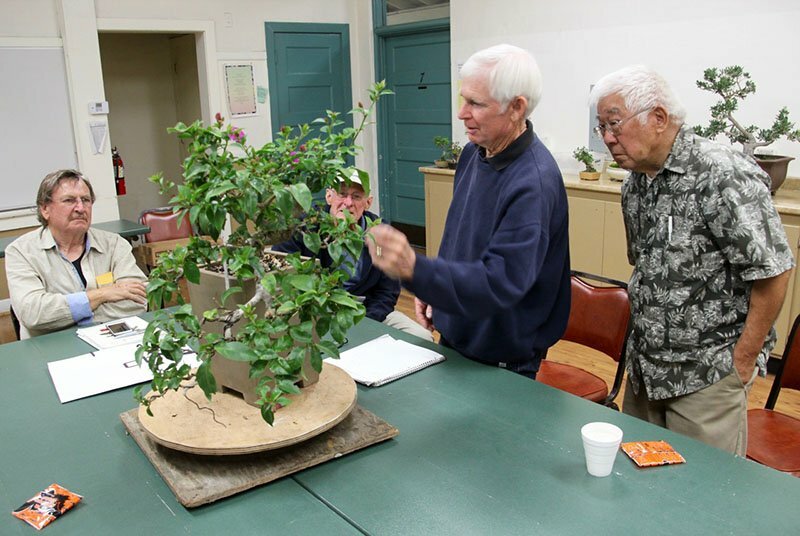 California Bonsai Society is a non-profit organization, which consists of professional instructors and advanced students, which formed in 1950 and was incorporated in 1962 under the presidency of John Y. Naka to ensure the continuation of this special art. 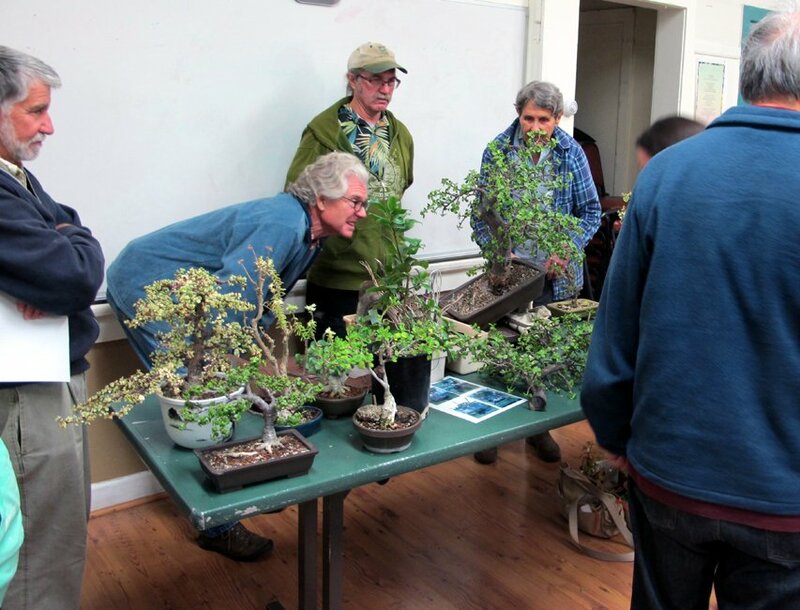 For questions, contact: Mel Carrillo, Publicity Chair NJoyLife17321@gmail.com Robert Pressler, President California Bonsai Society bonsaibp@earthlink.net. As I read the introduction to the book, I thought I would recommend reading it for any person who is a newcomer to the art form. It is very informative and encouraging for a beginner, and indeed, very informative for someone who has been doing bonsai for more than 5 0 years, and thought they should have something to show for it by this time. The book has only four general categories, 51 pages on elms, 34 on junipers, 31 on pines, and 20 on Larch. After that there is an appendix with some more elaboration on elms, mycorrhizae, discussion about whether a tree is ever old, followed by an index. 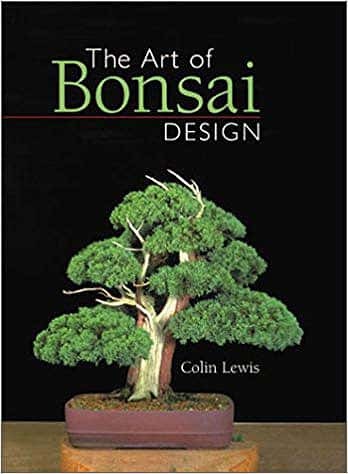 The author seems to be especially enamored by elms and has many good ideas, and I think many of his ideas will be productive for anyone working in the field of bonsai, so sign it out, and please return your borrowed library items.